Sometimes getting a little lost is like a gift. A wrong turn just might send you on an adventure away from the crowded confusion of city life, and into the peaceful beauty of the countryside. Shortcuts are great for folks who are in a hurry. But you prefer to take things slowly and appreciate your surroundings. 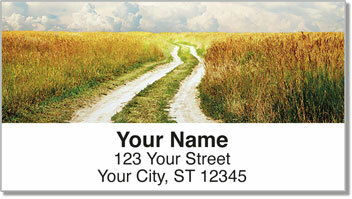 Country Road Address Labels from CheckAdvantage feature four picturesque photos of rustic pathways. They're the perfect choice for those of us who are easy-going and take pleasure in enjoying the moment. 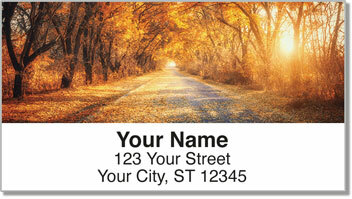 This handy product makes preparing your outgoing mail a snap! 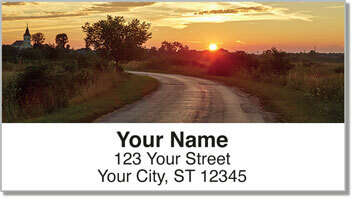 Plus, you can even use the labels to mark all kinds of personal property with your name and address. 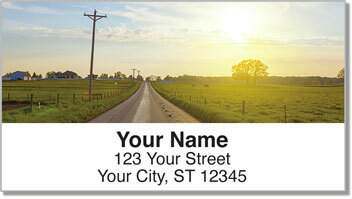 Get your own Country Road Address Labels now! You'll also find this charming selection as a set of matching personal checks.